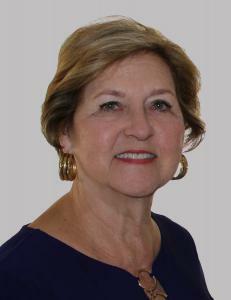 Sheila Harris-Schutz Appointed Goodwill Ambassador by Alzheimer’s Germ Quest, Inc. There were 256 press releases posted in the last 24 hours and 153,507 in the last 365 days. New Goodwill Ambassador will help to increase awareness and motivation of researchers to study possible infectious triggers for Alzheimer’s disease. NAPLES, FLORIDA, UNITED STATES, July 6, 2018 /EINPresswire.com/ -- Sheila Harris-Schutz has been appointed a Goodwill Ambassador for Alzheimer’s Germ Quest, Inc., announced its CEO, Leslie C. Norins, MD, PhD. She will assist in one of the company’s aims—increasing motivation of researchers to study possible infectious triggers for Alzheimer’s disease. Recently she helped the firm create the concept of “boot camp” for Alzheimer’s researchers, wherein newer investigators can meet Alzheimer’s patients to better understand the mental declines produced by the disease. Ms. Harris-Schutz has studied Alzheimer’s caregiving with Teepa Snow, a national expert, and is a certified practitioner and consultant in Ms. Snow’s method, Positive Approach to Care. She also has considerable personal experience as a caregiver, having aided two family members who died of Alzheimer’s. One was her sister and the other was her husband, Peter Schutz, who was the first American to head Porsche Motors International.